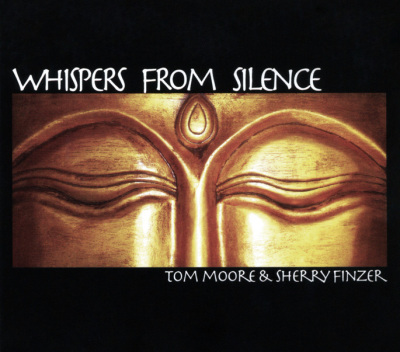 Using sound and silence to inspire a relaxating & meditative music experienc​​​e for the listener! 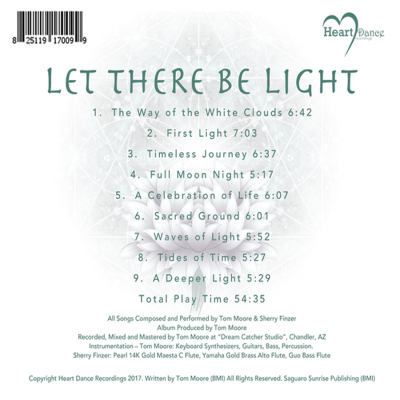 The music of Let There Be Light is an expression of light and sound. It is a journey journey, and it is about movement not only in our outer life, but equally on the inner plane. 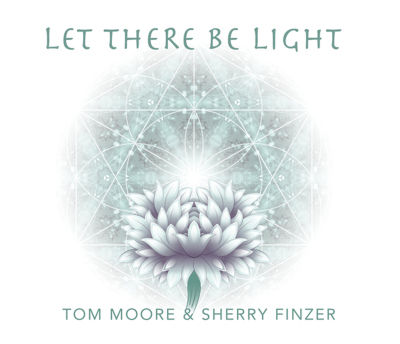 Let There Be Light has been nominated in the Zone Music Reporter's "Best Relaxation/Meditation Album" and "Album of the Year" categories for 2017. 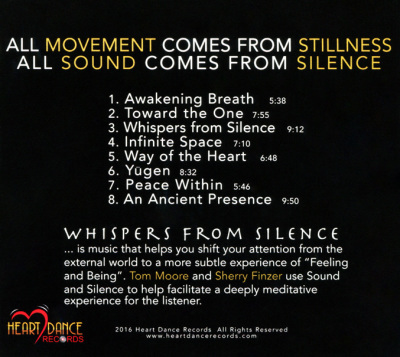 The intent of the album is to help inspire a deeply meditative experience for the listener. 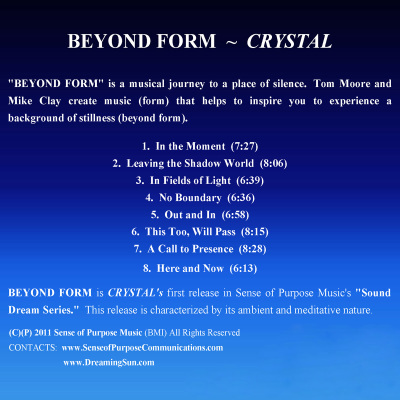 The album Beyond Form by the duo CRYSTAL (Tom Moore & Mike Clay) is a musical journey (form) to inspire the listener to experience a background of stillness (beyond form). 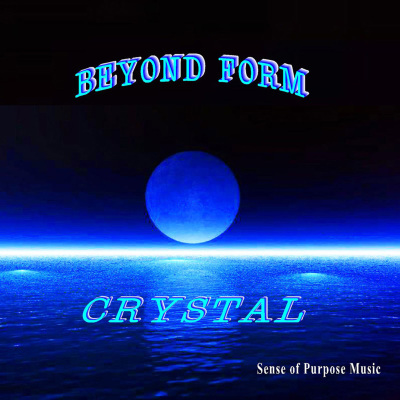 The music ranges from simple to complex sonic textures, but every track evokes an attentiveness for deep listening. 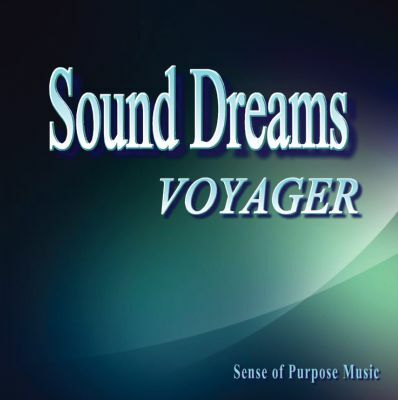 Piloted by Tom Moore, this album explores the world of dream-visions and communicates the experiences through music in Sound Dreams. 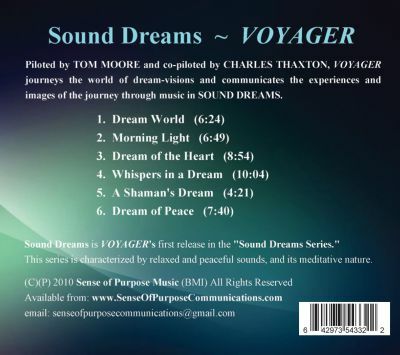 Using an actual mellotron, keyboard synthesizers, and samplers, VOYAGER Tom Moore creates a relaxing, meditative, and inspiring world of musical soundscapes. for information and to purchase.